Day trips. Sigh, we’ve been here before, haven’t we? In the dying days of the Easter holidays I’ve undertaken two. 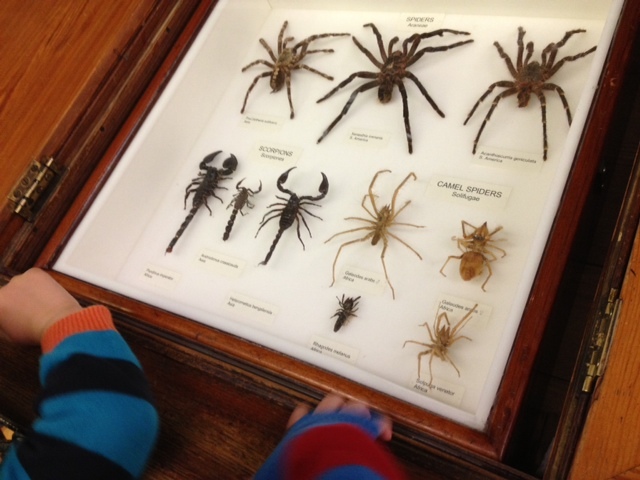 One to the Natural History Museum in Tring, stuffed to the rafters with stuffed creatures (and some models – the Dodo for instance). This place is such an education I’d really like to go alone. Gorillas, spiders, leopards, dogs, bats, elephants, elephant seals, sharks, whales, cassowaries, fish, insects, snakes, wolves…practically every creature you can think of and then times that by 1000 and you’ve got the variety on display here. Impressive. Free. “I want to see some real animals,” said BUB.1 as BUB.2 pressed his nose against the window, looking out to the car park. 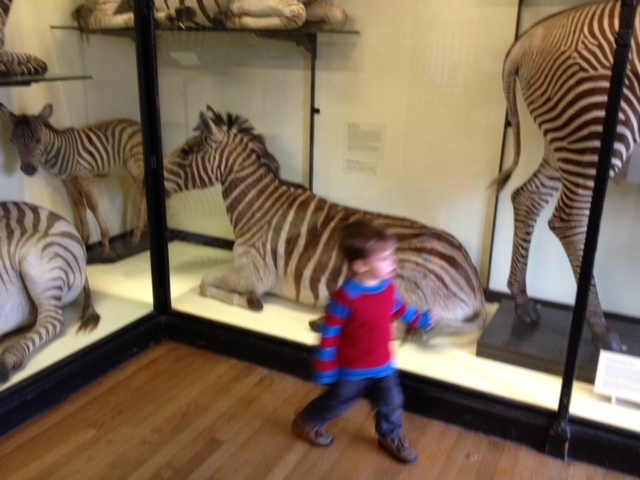 Perhaps something to revisit when they’re a bit older, and a little less prone to sprinting around some of nature’s most incredible – if a little inert – creations without so much as a glance at the zebras. 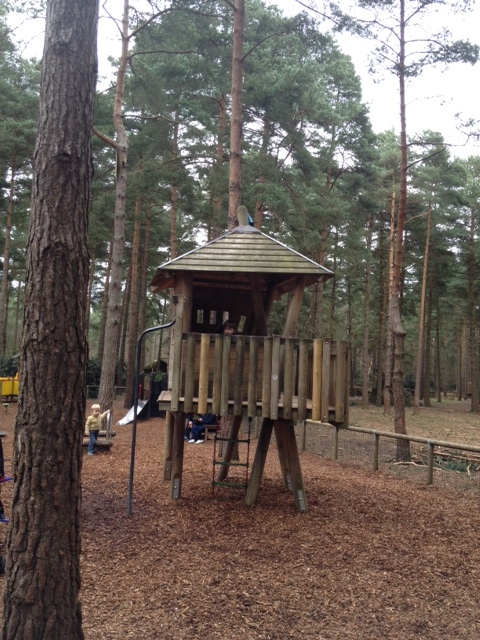 Next stop, The Look Out Discovery Centre in Bracknell forest. 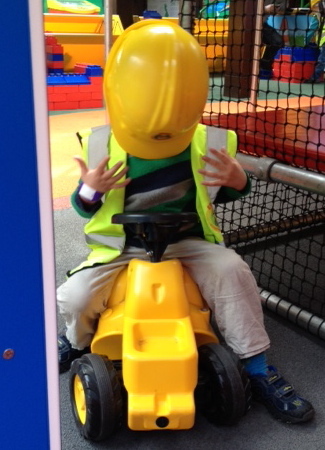 With two floors of interactive science exhibits and puzzles, a giant lego house to build (the BUBs enjoyed tiling the roof in their hard hats and high visibility jackets) and a really fabulous adventure playground divided into three sections that is set against the beautiful backdrop of the forest, this was RIGHT up the BUBs’ alley. Plus, under 4s are free so I only had to pay for myself. Kerching! If they can pick, fiddle, spin, touch, splash, run, jump, hide, climb and fall face first into dirt at least five times, they’re happy. And I think the real test of a day out is if at the end of it you have to feed your child tomato soup through a straw as he lies on the sofa, too tired to move.